Dhaka, 4 June, Abnews: Bangladesh women cricket team thrashed Pakistan by seven wickets in T20 Asia Cup with 13 balls remaining in Kinrara Academy Oval, Kuala Lumpur on Monday. Winning toss, Bangladesh skipper opted to field first. Pakistan scored 95 runs for 5 wickets at the end of their twenty overs. 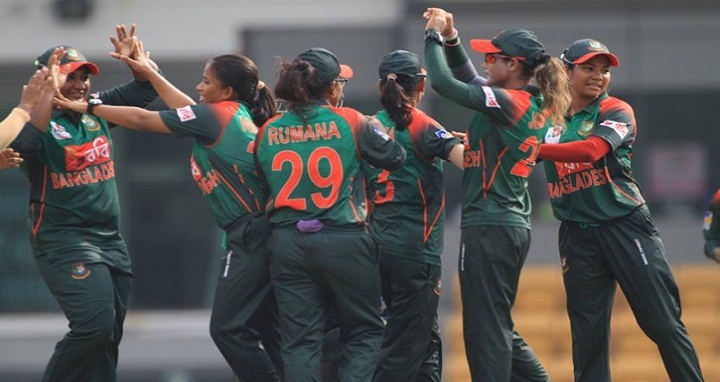 Bangladesh’s bowler Nahida Akhtar bagged 2 valuable wickets giving only 23 in four overs. Besides, Salma Khatun, Fahim Khatun and Raumana Ahmed took 1 wicket each. In reply, Bangladesh chased the 96 runs target easily losing only three wickets.